The UK and Ireland campaign ‘Spotlight on…women in construction’ has been launched by the Considerate Constructors Scheme to boost the much-needed industry effort to attract more women into the construction industry. It is clear from the survey results, that although some results appear encouraging, there is still a huge amount to be done, particularly in addressing sexism and changing misguided perceptions of what a career in construction offers to women. The importance of having role models is absolutely critical. 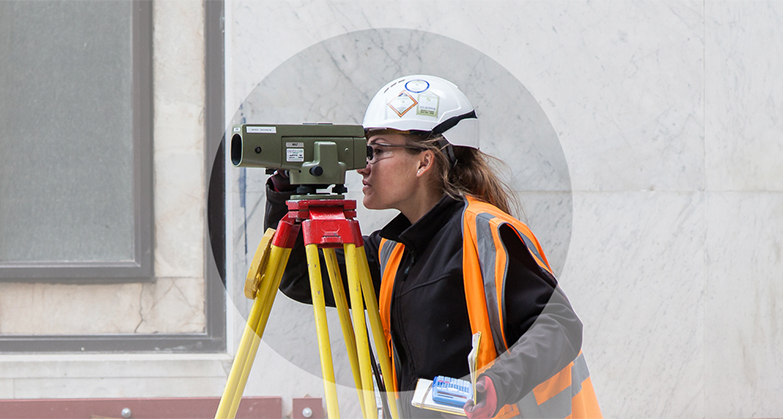 As such, ‘Spotlight on…women in construction’ has interviewed a number of women within the industry to examine what opportunities and challenges they have faced and why construction offers a great career for women of all ages, backgrounds and skills. The women interviewed by the Scheme range from on-site trainees to senior engineers involved in major infrastructure projects. Case study contributions include: Roma Agrawal, (Structural Engineer at AECOM and a Director of the CCS); Stephanie Bennett, (trainee Quantity Surveyor, Morgan Sindall); Victoria Betts, (Senior Site Manager, Higgins Construction), Sally Cave, (first qualified female Gas Membrane Installer in the UK); Margaret Conway, (Project Manager for McAleer & Rushe and winner of CIOB Construction Manager of the Year 2017 Award); Michèle Dix (Managing Director, Crossrail 2); Katie Kelleher (Crane Operator, Laing O’Rourke); Eillish Kwai (Employment and Skills Manager, Ardmore); Kath Moore, (Carpenter and Chief Executive, Women into Construction); and Megan Robinson (Technical Coordinator at Barratt Developments plc). Women are still underrepresented at present but I think we are starting to move in the right direction. We need to recognise the need for more flexible working arrangements, especially if we are to encourage women back after taking time off for children. I think there are lots of opportunities out there and one message I would give to my fellow women colleagues is “go for them!”. Be confident in your own abilities. The industry has so much to offer. In the time I have been working in the industry there has definitely been an increase in the amount of females working in it. The Considerate Constructors Scheme has been a big driving force in this as it insists on facilities for females that previously would not have been in place. Thank you to everyone who has contributed to ‘Spotlight on…women in construction’. The Campaign provides a must-read set of resources for organisations and individuals who would like to improve their standards of considerate construction – with the aim of driving greater equality, diversity and inclusion throughout our industry. Not only is it imperative that standards must be raised in this area, in order to help encourage more women into the industry, but a more equal and diverse workforce also brings greater collaboration, creative thinking and more inclusive workplaces. This can only be a positive step in helping to improve the image of the UK and Irish construction industries.